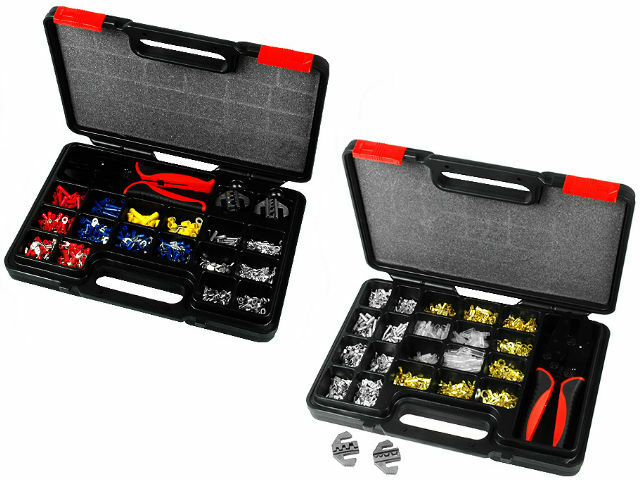 TME's range of products includes connectors and terminals crimping kits in carry cases. Depending on the model they allow crimping of terminals and insulated or non-insulated connectors. The kits contain a crimper, replaceable jaws, as well as terminals and connectors. All of these is enclosed in a plastic case with compartments.